Description Create your own Biblical knits, two by two. Author Biography Fiona Goble is a craft author and knitting blogger who for many years ran a small textile business making bags, cushions and throws. She regularly contributes to a number of craft magazines and teaches knitting, crochet and sewing classes locally. 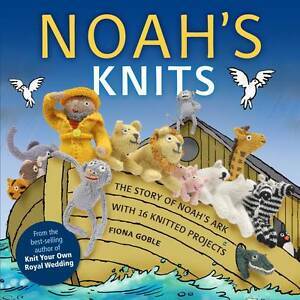 She is the author of several best-selling knitting books, including Knit Your Own Royal Wedding and Knitivity, plus the just-published Knitted Animal Hats.